While classical fascism was characterised by the fusion of corporate and state power, contemporary fascism is the fusion of corporate and communal power rising from the crisis of neo-liberalism. The real obstacle to understanding, or even recognising, contemporary fascism is alas, the memory of the 1930s. The fact that we have fascists in power in India, at the helm of a liberal bourgeois state, is indubitable: their organisation, the RSS, to which they belong and swear by, has made no secret of its admiration of classical fascism. But we do not have a classical fascist state and are not moving towards it at break-neck speed, as the Nazis in power had effected. This is what makes many people question whether we are at all confronting fascism. Indeed, through the prism of the 1930s, it would appear that we are not. But contemporary fascism must necessarily be different from the 1930s because of a basic difference in context. The fascism of the 1930s emerged in a world where different nation-based finance capitals were engaged in intense rivalry; today we have globalised or international finance capital under whose hegemony such rivalries do not exist. This has two implications: first, the ability of any particular nation-state, even a fascist state, to overcome the economic crisis that spawns fascism in the first place, is limited, unlike in the 1930s when German and Japanese fascist-states had overcome the depression in their countries through borrowing-financed military expenditure. This is because, with relatively free cross-border financial flows today, borrowing-financed state expenditure, which globalised finance dislikes, would cause a capital flight from the country, nipping any such recovery in the bud. (The US is one possible exception to this because the dollar continues to be considered “as good as gold” by the world’s wealth-holders). Secondly, inter-power rivalry leading to a war unleashed by fascism, which burns itself out in the process, is also not a realistic scenario: globalised finance does not like any break-up of the world into warring powers. Contemporary fascism therefore can neither proceed headlong into erecting a fascist state (since its social base would still be limited), nor exhaust itself through war. It threatens to be a lingering phenomenon, a state of “permanent fascism”, through which the fascists are periodically in and out of power. There would be a progressive ‘fascification’ of society, with even its opponents pusillanimously imitating it (as with the “soft Hindutva” of the Congress), unless it is overcome through a transcendence of the very conjuncture that produces it. What is required therefore, is both a recognition of its reality as fascism and an appropriately innovative way of combating it. There would be a progressive ‘fascification’ of society, with even its opponents pusillanimously imitating it. The former should not be difficult once we stop insisting upon an exact congruence with the fascism of the 1930s, complete with its concentration camps. Several other characteristics of fascism are amply evident in India today. The glorification of a muscular hyper-nationalism that sets the “nation” above the people (which is the diametrical opposite of the inclusive, people-centric, anti-imperialist nationalism that informed our freedom struggle); the identification of this so-called “nation” with the government and the “Leader”, so that all dissent is treated as anti-national, seditious, and synonymous with terrorism; the unleashing of a combination of lynch-mobs and state repression (through UAPA arrests and CBI cases), not to mention “troll” armies, to terrorise and silence opponents; the close union between the state and the corporate-financial oligarchy (Benito Mussolini, one must remember, had defined fascism as a “fusion of corporate and state power”); the targeting of a hapless minority as the “enemy within”; the obliteration of any distinction between mythology and history, between science and prejudice, and between “fact” and fiction; and the general disparaging of all intellectual activity are all visible. The counter-revolution that fascism invariably unleashes has particularly obnoxious implications in India’s case, since, while scuttling democracy and freedoms, it would re-furbish traditional caste-hierarchy and caste-oppression, which had been somewhat undermined by the combined onslaught of the anti-colonial struggle and the social emancipation movement of the late nineteenth and early twentieth centuries. It would push us back by centuries. Opposition unity, in any form that prevents a split in votes, is absolutely essential for this. But while such unity would unseat the fascists from the position of power they currently occupy, it would not change the conjuncture that produces fascism. This conjuncture is one of neo-liberalism at a dead-end. The glorification of a nationalism that places the “nation” above the people, demands sacrifices from the people for a “nation” whose supposed interests (such as high GDP growth or rapid capital accumulation) are best served by appeasing the corporate-financial oligarchy and hence makes people subservient to the interests of this oligarchy. Such nationalism had already characterised metropolitan capitalism in the late nineteenth and early twentieth centuries (whence Rudolf Hilferding’s remark that the ideology of finance capital is the “glorification of the national idea”). 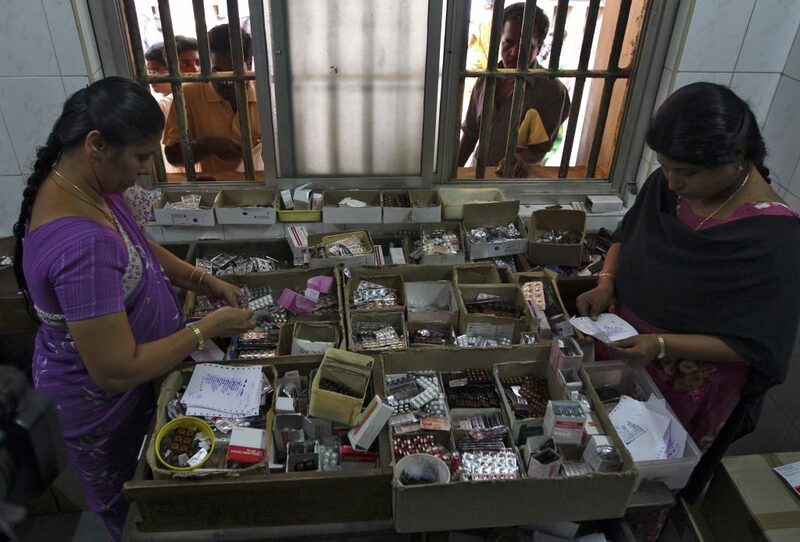 It appeared in India in the neo-liberal era marked by the hegemony of the corporate-financial oligarchy. 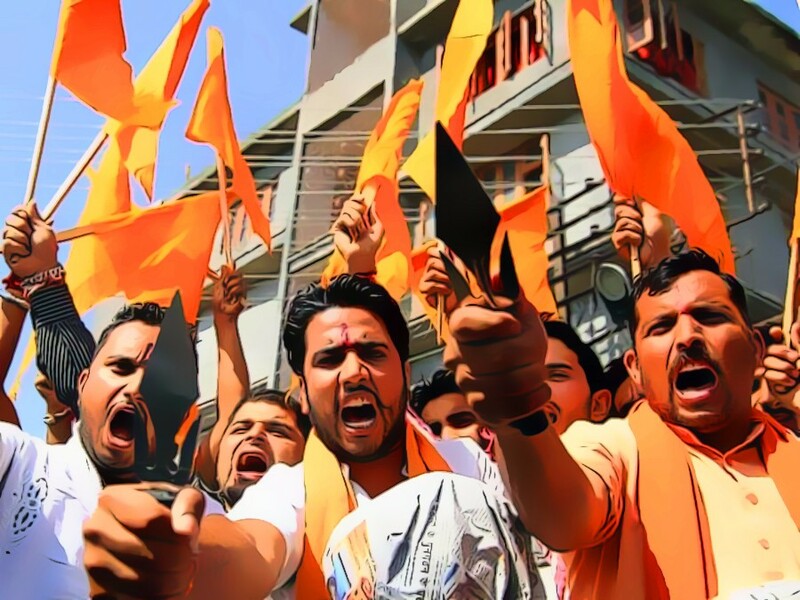 But with the crisis of neo-liberalism, it is virulently promoted with the additional help of Hindutva forces to ward off any threats to corporate hegemony. A corporate-communal alliance thus comes into being, even as the economic distress of the working people keeps getting aggravated. Also Read: The BJP Is Looking to Shut Down Politics. That is Why the Opposition Must Unite. If this conjuncture is to be changed, if 2019, even if it sees an unseating of the Hindutva forces from power, is not to result merely in putting the clock back so that these forces again come back to power the next time around, then opposition unity must be around a minimum agenda of action. This must include a scrapping of the UAPA (under which innocent Muslim youth are arrested and jailed for years, their lives irreparably damaged), a scrapping of the sedition law, stringent measures against lynch-mobs, enforcing minimum ethical standards on the media, reining in the CBI so that it ceases to be a tool in government hands for settling scores, ridding universities and other academic and cultural institutions of the incubus of Hindutva-fascism so that they once again become sites of free discourse; and other such measures of damage-repair. In addition, however, it must both address the growing economic distress of the working people and strengthen the notion of common citizenship, by instituting a set of fundamental economic rights, among which I would list at least the following five: right to food, right to employment, right to free publicly-funded quality universal healthcare, right to free universal publicly-funded quality education and right to adequate old-age pension and disability benefits. These measures should not cost more than 10% of the GDP, which a 4% wealth tax (such a tax no longer even exists in India) on the top 1% of households, should be quite adequate to finance. Of course there will be specific measures for the different classes, such as reviving the market intervention role of commodity boards, restoring the profitability of agriculture, enforcing a minimum living wage, strengthening trade union rights and such. But the strengthening of “citizenship” through economic rights enjoyed by all, irrespective of caste, community, gender and other identities, will mark a sea-change. All these rights may not be introduced immediately; but some must be, while others may follow over time. The immediate institution of some rights would already help other objectives: a national health service, for instance can generate employment through “care work”. The task of achieving opposition unity to defeat fascism is therefore even more complex than mere seat-sharing. The Left alone can take the lead in achieving this task, for at least three reasons: first, of all the forces in the country it is the one most implacably opposed to fascism (which the fascists themselves implicitly concede while dubbing all their opponents “Left”). Second, it alone sees the link between neo-liberalism and fascism, or more generally understands the political economy of the rise of fascism and hence can think beyond an opposition unity based merely on seat-sharing (important though that is). Third, in principle at any rate, what matters for the Left is not “party interest” but “people’s interest”, for which the party can sacrifice its own perceived immediate interest. Communism was primarily responsible for the defeat of classical fascism, one of its enduring historic contributions. Communism again has to rise to its historic responsibility and defeat contemporary fascism by taking the lead in uniting the entire opposition. I believe it will. Even on the earlier occasion, it had been tardy in getting down to this historic task. Its current tardiness, therefore, should not make us think that it would shirk its historic responsibility. But if perchance it does, which I consider unlikely, it would have done irreparable damage to itself. 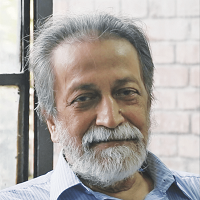 Prabhat Patnaik is professor emeritus of economics at Jawaharlal Nehru University.